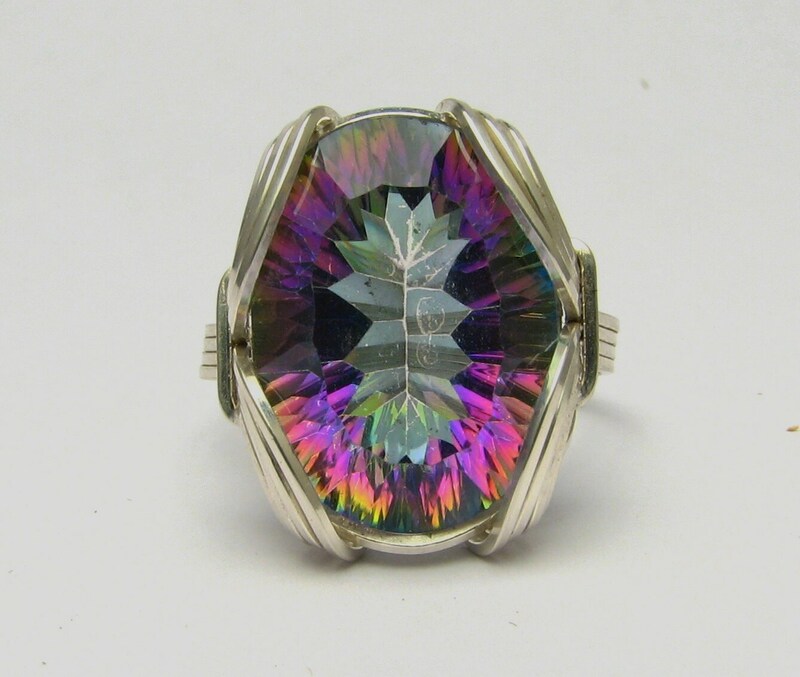 Beautiful handmade sterling silver wire wrapped Mystic Quartz ring using sterling silver square personally handcrafted. 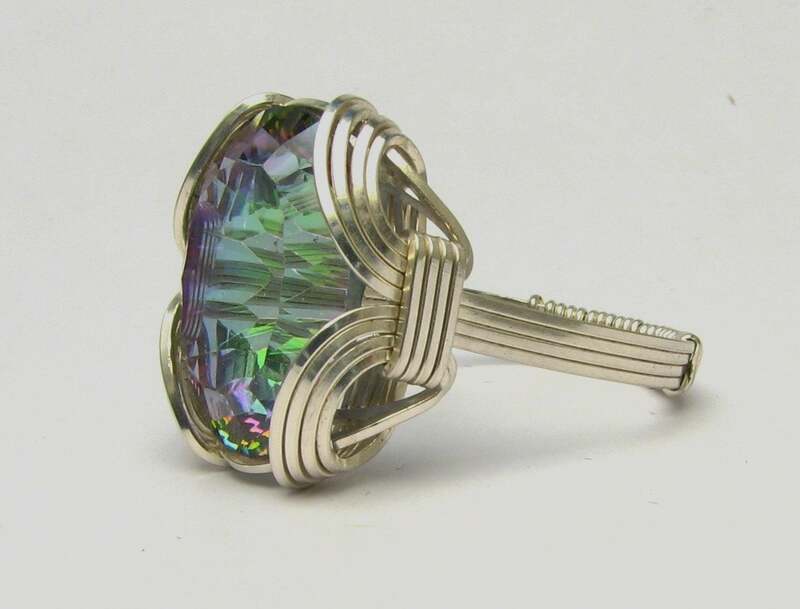 If you would like this gem in 14kt white or yellow gold or 14kt yellow or rose filled gold, please send a message with what you would like and we will send you a quote. 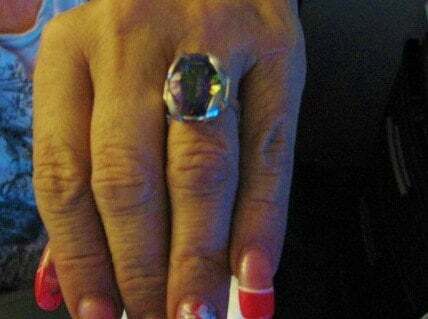 This ring is made with a real gem. I made it myself, so if you see a setting you like and want a different gem in it, I can put in another one as they are not finished. I can probably do it for the same price or real close. 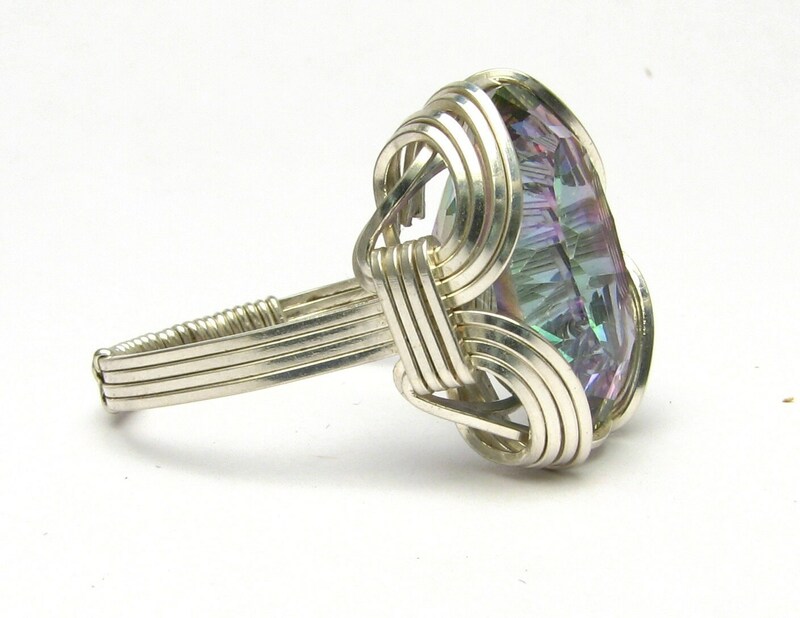 I can make these either in gold or sterling silver; just email me for a price.